“COULD YOU NOT WATCH ONE HOUR WITH ME?” Matthew 26:40. 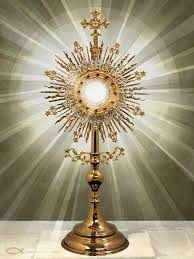 For anyone who has never been to adoration before, please consider giving it a try! Even if it is just a half an hour. Remember what Our Lord said to the Apostles on the night before he died, “Could you not watch one hour with me?” Matthew 26:40.